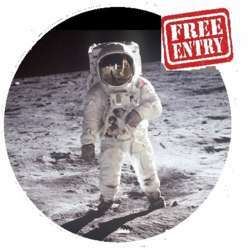 "Man on the Moon" Party, City centre. Hello everyone. 50 years ago today on 20th July Protected content Armstrong made that "giant leap for Mankind". Have a "Out of This World" Party hopefully with music like: Protected content in this popular Anglo-Irish international bar. But I cannot find a band at the moment. See: Protected content for a truly mind-boggling look at the universe. (If clear on the day, observe the moon, it will be half full).